ishes, a nicely polished finish and a premium hard titanium coated finish. 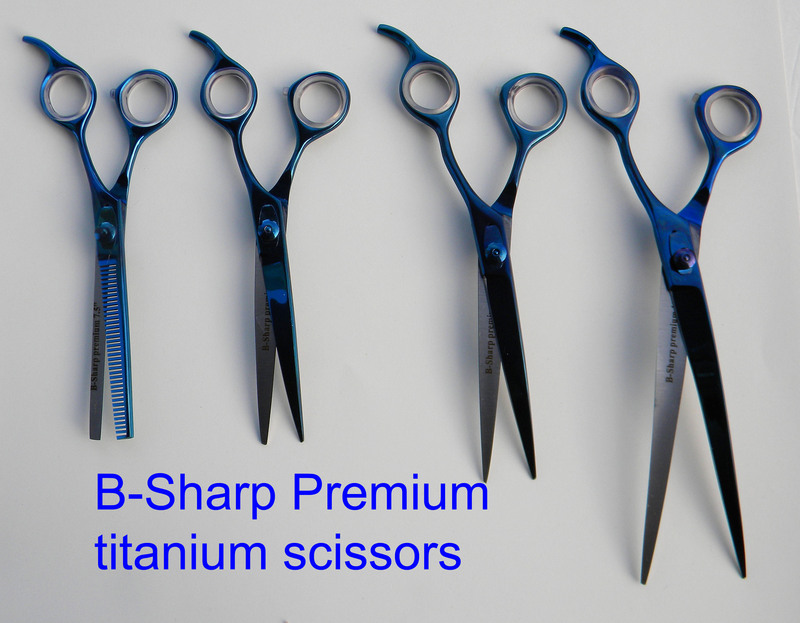 polished and titanium rounds out the larger grooming scissor selection. 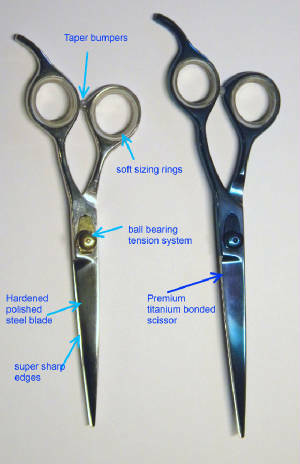 A new addition is the 7 1/2" and 8 1/2" offset handle scissor and a new multicolor 6" thinner. If approved, a payment plan can be arranged, call for details. 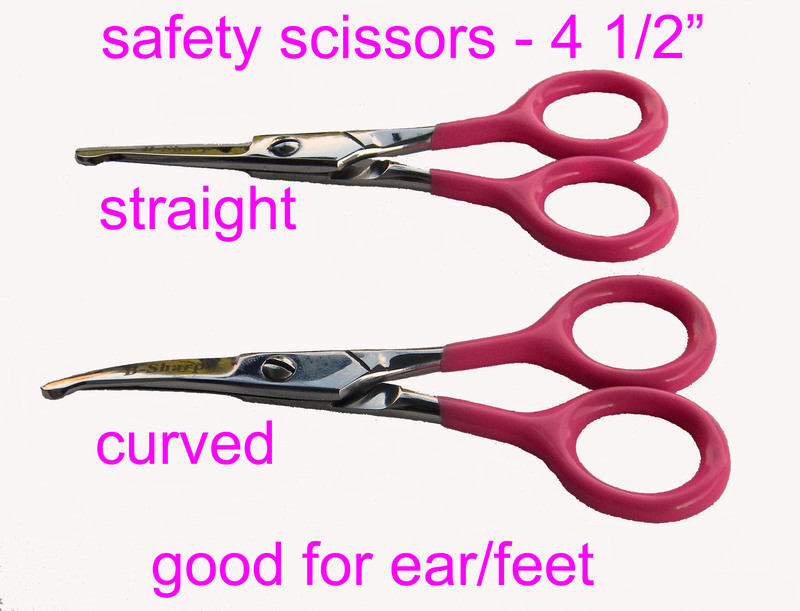 For those delicate ear and feet trimming needs both straight and curved 6" and 4 1/2"
safety scissors in a beautiful polished steel are in stock. Smooth cutting action. 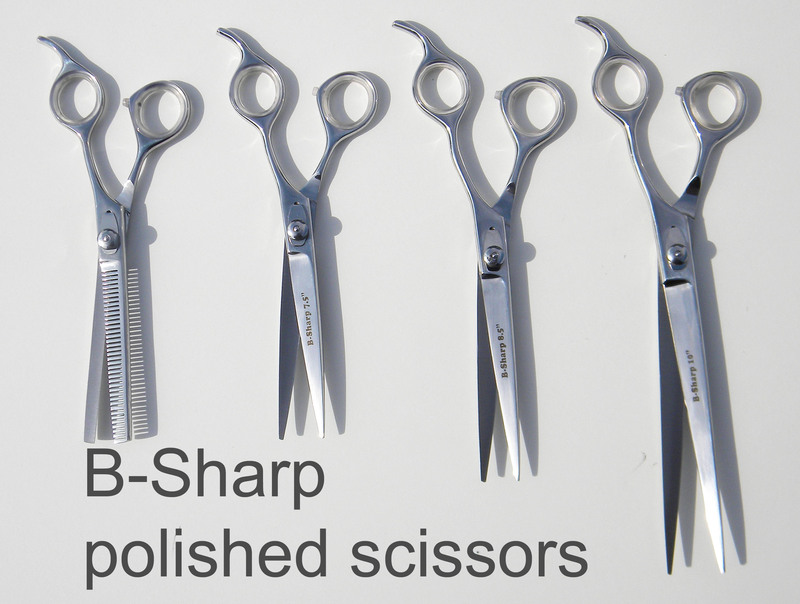 A Basic set of professional grooming scissors for new groomers with a Thinner, Straight and Curved scissors is available in either polished steel or Premium Titanium steel. 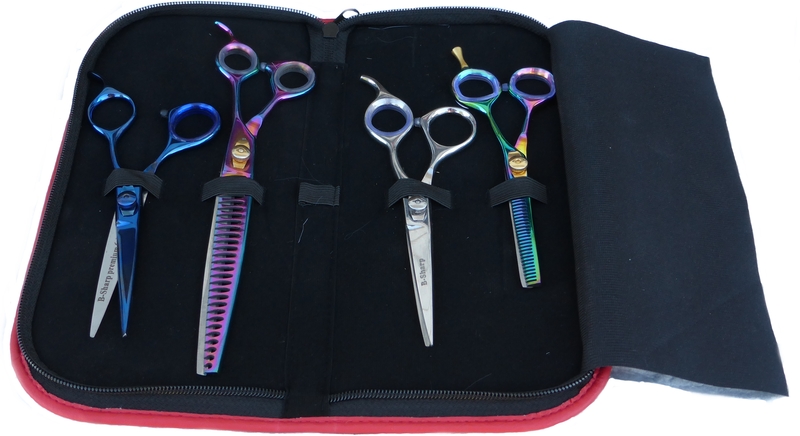 A 20% discount for this set can be had by calling or emailing. (610 683-5175, email brucesharp1@yahoo.com). You can also pick and chose the sizes you want. 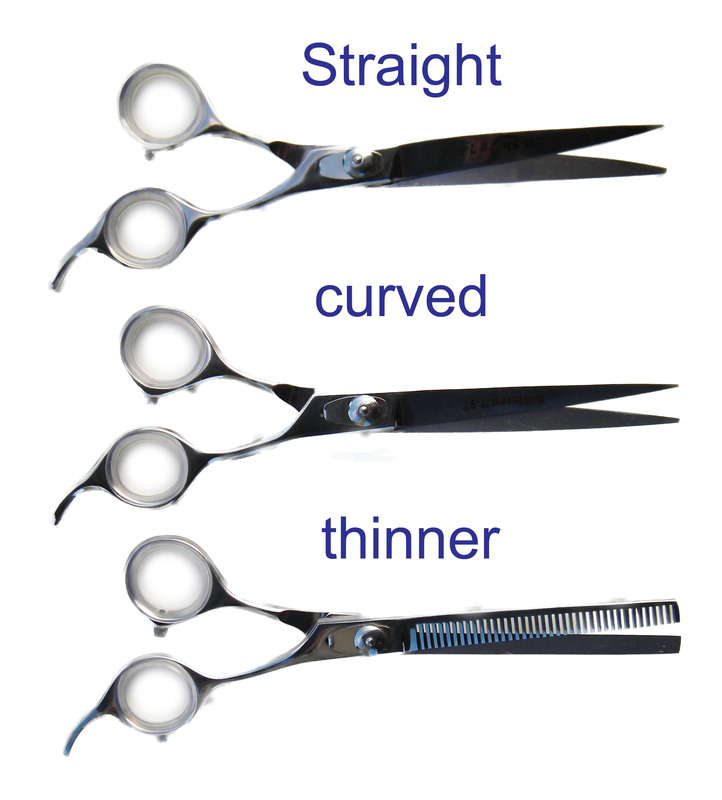 These scissors come with a snap close clear scissor sleeve. 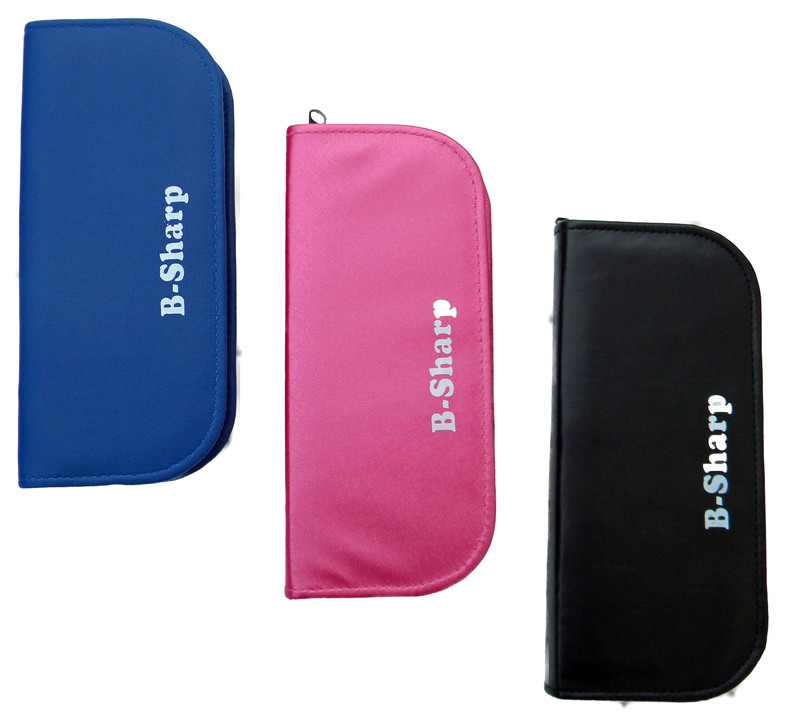 I also have nice zippered padded leatherette cases in Pink, Blue and Black for $7.50.